Self catering in Jersey is the perfect solution if you prefer a home away from home where you can completely relax. With our Jersey self-catering options, everyone can be accommodated together, making self-catering accommodation ideal for families and extended families. Parents can relax knowing that they have a living space for everyone to spread out in, and it also offers the all important freedom to come and go as you please. Self-catering accommodation also offers guests the opportunity to sample some of the fabulous restaurants on the island. 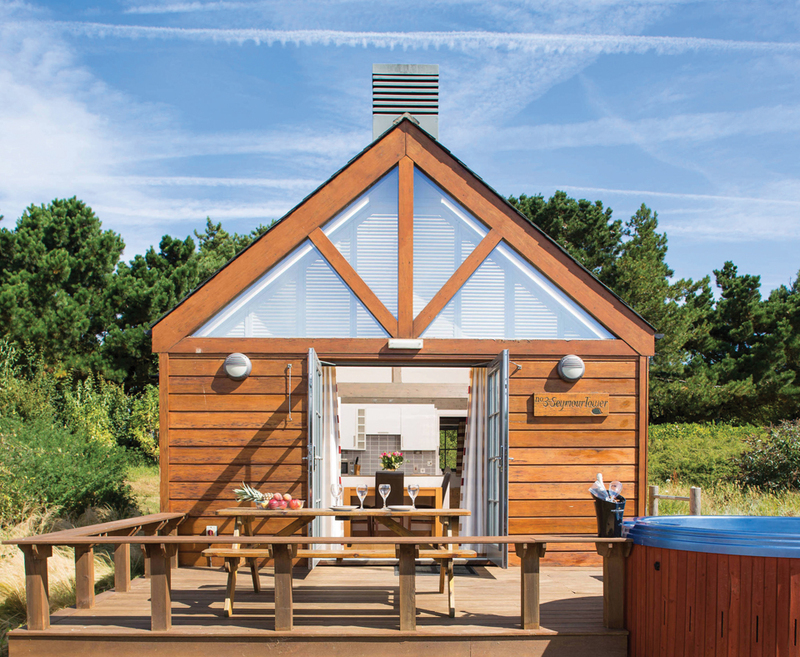 Jersey boasts a range of locations which have self-catering accommodation, so whether you prefer to be close to the sea or away from it all in the countryside, there is something for everyone. Prices are displayed per person by sea from Poole or Weymouth. The very nature of self-catering apartments is that they are completely flexible and we have based our prices on the maximum adult occupancy of the apartment on a 7 night stay. If this does not fit with the size of your party or your required duration, please ask for prices. Jersey is an island of amazing diversity and natural beauty that ranges from rugged cliffs in the north to the Atlantic rollers of the windy west and long swathes of golden sand in the south. Inland flower-filled meadows, undulating farmland and leafy hidden valleys are all linked by tranquil country lanes.The capital is St Helier and is the main focus for the island's shopping, eating,entertainment and nightlife. Jam-packed with award-winning attractions and places to visit including magnificent castles, emotive war tunnels, hands-on museums that really bring history to life, fascinating wildlife and adventure parks, quaint fishing villages, luxury spas and a tantalising array of outdoor pursuits for all ages and abilities. Getting around is easy. For maximum flexibility, you should hire a car, however the island's extensive bus network allows you to explore the main places of interest. It's also a friendly walking and cycling island with a maze of cycle paths, walks and 45 miles of 'Green Lanes', which meander through the various parishes. Geographically closer to France than England, Jersey is a unique blend of continental flair and reassuringly familiar scenes. It's British pounds and French place names, cream teas and croissants, Breton-style seafood and traditional beach cafes. Add a mild climate, easy travel by air or sea together and great value offers, and it's easy to see why Jersey's hard to beat.